Starring: Leonardo DiCaprio, Joseph Gordon-Levitt, Tom Hardy, Marion Cottilard, Ellen Page, Michael Caine, Ken Watanbe, Cillian Murphy, Dileep Rao, Tom Beranger, Pete Postlethwaite, Lukas Haas. Grandmaster extraordinaire Nolan, has managed to do it again. Not only has he used the teasingly elaborate and original approach of the great “Memento” but he has fused it with the bleak and inventive approach he used in “The Dark Knight”. Both styles when amalgamated, produce one of the most satisfying action, sci-fi thrillers for not only this year, but for many a year. In a future corporate world, Dom Cobb (Leonardo Di Caprio) is an “extractor” – an agent capable of entering the sub-concious of another, through their dream state. His job consists of retrieving information from their dreams that they would not share as common knowledge. Being an agent a long time in the game, he also harbours secrets of his own that he wouldn’t like to be exposed but finds himself forced to complete a particular assignment that may grant him freedom from his own demons and allow him back into “reality”. The lines have become blurred in what Cobb knows and what he has exposed himself to for so many years, that telling the diffence between reality and dreaming has become increasingly difficult. First off, it’s hard trying to condense this film into words. Even when you see it, it’s hard to condense it into your mind. That being said, it’s the most enjoyable and challenging film I’ve seen in a while. The days of big budget action films with someone kicking around in a torn vest or bandana are gone. This has raised action films to a new level. 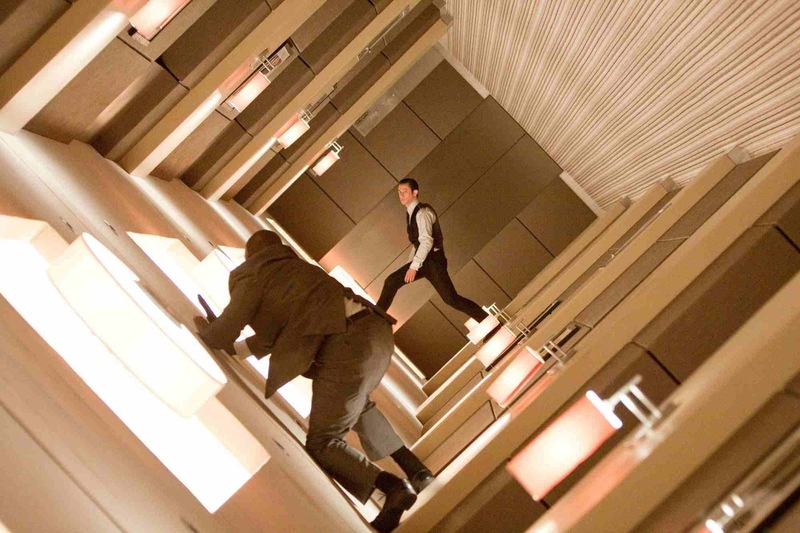 We all thought “The Matrix” was where it`s at, but “Inception” has thrown down the guantlet. We demand films with intelligence and that`s what we get here. Not for a second are we allowed to turn off, scratch our nose, or fondle and kiss our other half in the darkened auditorium. As soon as this film starts, we are hooked and it doesn`t have mercy. 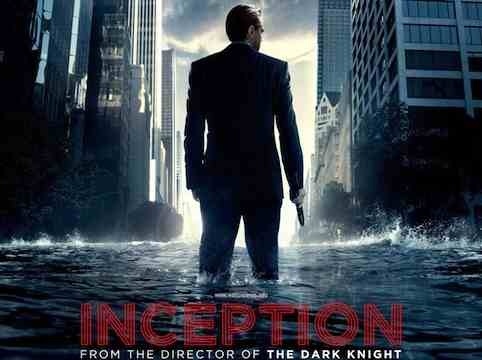 Christopher Nolan`s warped and clever approach takes over and assembles a fine cast to contribute. Di Caprio reprises a similiar tormented role from his previous “Shutter Island” and does it, yet again, entirely convincingly. The film hinges on his shoulders and he manages to gain our trust, despite the fact that we are still not sure about him or his morals. There’s also great support from a fine ensemble cast, particularly Joseph Gordon-Levitt who effortlessly shows a different side to his acting chops and is commandingly able in some sublime action scenarios. “Memento” is one of my all time favourite films and I see this, in some ways, as “Memento” with money. Overall, an absolute mind teasing, visual treat. Mr. Nolan, carry on sir! You treat your audience with respect and for our sakes, I hope you continue to do so. This entry was posted on January 14, 2012 at 10:27 pm and is filed under Action, Mystery, Science Fiction with tags 2010. You can follow any responses to this entry through the RSS 2.0 feed. You can leave a response, or trackback from your own site.